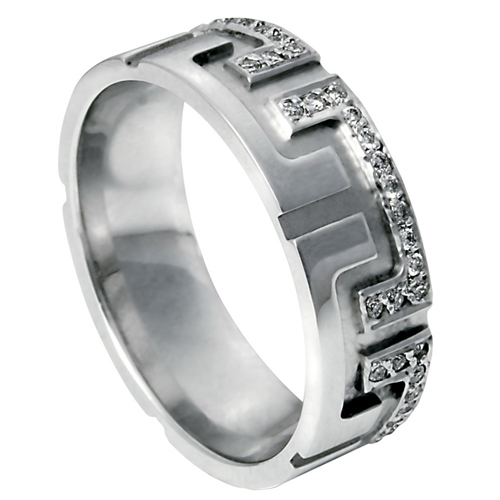 Currently, the jewelry market for several years white gold is very popular. This precious metal especially emphasizing the elegance of fashionable jewelry. Stones with a rim of white gold, look delicate, elegant and very individual. There are several correct ways to define white gold. The most important rule – in any case do not buy gold on the market! The easiest way to find out whether you hold in your hands the product of white gold is to look at the sample, which is on the product. That is, the sample indicates the purity and amount of gold contained in the product. Than the sample above, the content of gold in it anymore. Visually, the white gold looks like silver. But, if you look, you can easily find the differences. First, white gold is a warmer white, while silver is a "cold". Secondly, silver has a density from white gold, it is a softer metal. After spending on the white sheet of paper the product of silver, you will see that it will mark, at that time, like the goldpiece will be no trail. Use and such a simple way: hold a small amount of time in vinegar product. If the object changes color, it means that it is made not from gold, or contain a very large number of impurities. Use the magnet. In itself gold (regular and white) as well as all the precious metals, is nonmagnetic. Therefore, if the product starts to react to the approach thereto of the magnet, it will indicate a tampering or a very high content of impurities of other metals. Drip a little iodine on the product and wait a couple of minutes. Then, erasing the iodine with a cotton swab or cloth and see if there are any trace. If not, the item is made of real gold. You can check with spinnogo pencil, which can be purchased at any pharmacy. Moisten golde decoration of water and a pencil and make small dash. Metal needs to stay clean. This is a very convenient method of determining the authenticity of the product, as the result is instant. Scammers who make fake gold, have modern equipment and are expertly made fakes that are close to the noble metal in terms of density and color, and even chemical properties. And often the fake may be "partially true" - i.e., still contain some gold that provides a product of appropriate chemical indicators. However, there are ways to test real gold in front of you or not. You can try to determine gold "by ear". Sound when falling on glass surface ring, the authenticity of which you are certain and check the ring should be the same. You can also draw those and other jewelry a small line on any solid object. If both leave a similar footprint, there is a high probability that they both have the same sample. Try using a magnet. Precious metals are not attracted. However, copper and aluminium, also not magnetic. In any case, is to estimate the weight, because aluminum and copper are much lighter than gold. Apply to the surface of the gold drop of iodine for 3-5 minutes. Then gently wipe the liquid. If the color of the metal remains the same, you likely real gold. Or try to hold the jewelry in vinegar. If it will darken, it is fake. Another way to test gold is to apply a special reagent to the surface of the jewelry. However, this operation can lead to damage of the product, and fix it then it will be difficult. If you are willing to pay for the exact definition of real gold, to test jewelry, you can contact the experts who have special tools. With them measured the electrical resistance, conductivity and other parameters of the precious metal. Based on these data we can judge about the composition of the alloy. Purchasing fakes instead of the real goldth decorations is not only annoying, but also very wasteful step. Even without being an expert in the field of jewelry, can distinguish real gold from fake, according to the following tips. 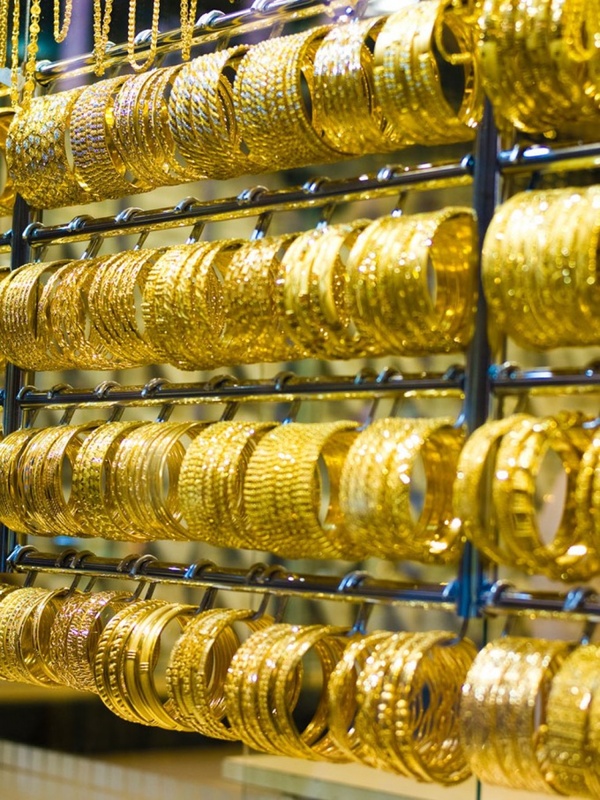 Buy gold jewelry at a reputable large stores and jewelry stores. Of course, such purchases will cost you far more, but the authenticity of the gold in these areas is virtually certain, unlike cheap imitations which are filled with small kiosks and markets. 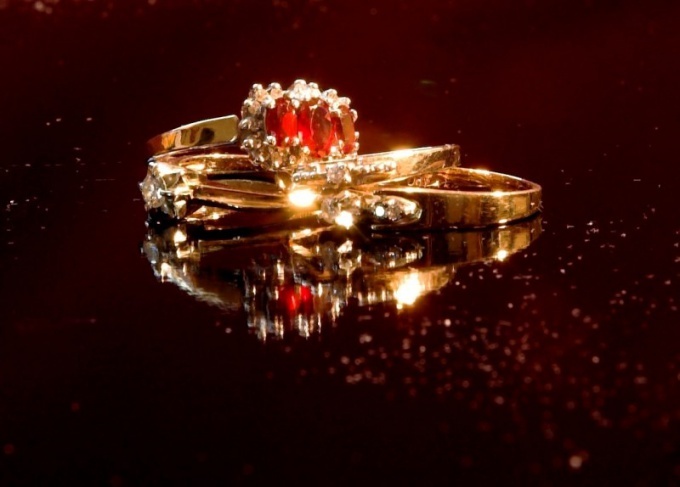 Be sure to check the certificates of quality before purchasing gold jewelry. The first thing to look for when evaluating the authenticity of gold is a special hallmark. Take a good magnifier and closely examine it. It should be clear and be positioned parallel to the details of the decoration, which is applied. The numbers inside the mark must also be perfectly smooth. A good guarantee of the authenticity of the gold jewelry is a mark of the manufacturer. Products that contain such imprint, also rarely are fakes. Carefully review the reverse side of the gold jewelry. If it's perfectly flat and smooth, most likely, before you a high-quality product. Cracks, notches and carelessly inserted the stones should alert you. To test the quality of gold in domestic conditions using an ordinary magnet. Take a magnet and hold it close to the decoration. High quality gold will not be attracted to him, fake or base alloy, on the contrary, immediately primarydata. A good way to detect fake gold are chemical substances. Apply the product with a drop of iodine or acetic acid. Wait for 3-5 minutes. Then wipe off the liquid with a soft cloth, if the residue on the ornament left, so the gold present. Similarly, you can verify the authenticity of gold jewelry lapis (it is used as krovoostanavlivayuschee tools and is sold in pharmacies). Moisten lyapisny pencil and RUB their surface decoration. Real gold will not change its color, and false will turn black. You must take into account that these tips are not universal and will not be able to detect fake jewelry, with quality gilding. Therefore, if you have the slightest doubt contact an expert.